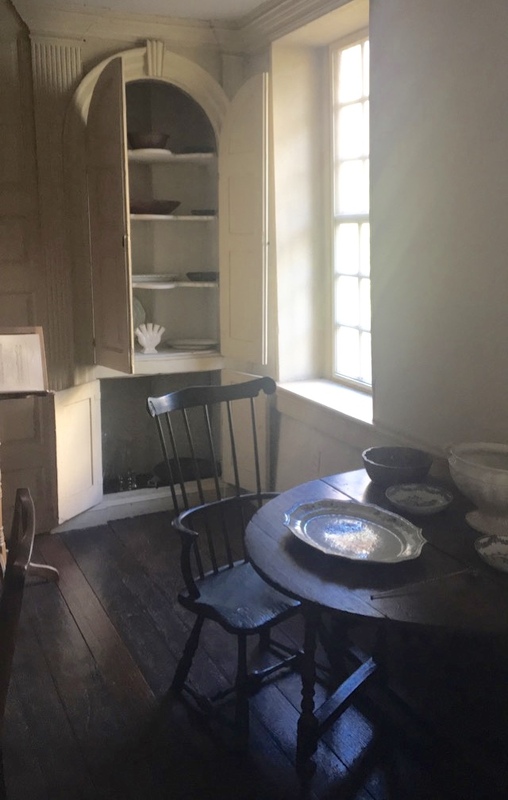 For historic home Thursday let's explore the oldest home and property still standing in Washington, DC, The Old Stone House. Old Stone House in 1890. The Old Stone House fits snuggly on M Street in Georgetown surrounded by giant retailers and bars. It has an aesthetic all its own regardless of the modernization that surrounds it. The Old Stone House was built in 1765 and was constructed of locally quarried blue granite. The house was built by a cabinetmaker, Christopher Layman, who used the three-story home as a residence as well as a shop. During this time M street was then called Bridge Street and was still used as a main thoroughfare much like it is used today. In 1953, the home was purchased by the U.S. government and today is administered by the National Park Service. It is free and open to the public from 11am - 6pm EST Monday through Friday. It also has a beautiful garden in the back that is also open to the public. The Old Stone house is the perfect oasis to get your historic fix between shopping trips and other Georgetown explorations. Below are photos of the Old Stone House as it stands today.